Two television ads released today highlight some of state Del. 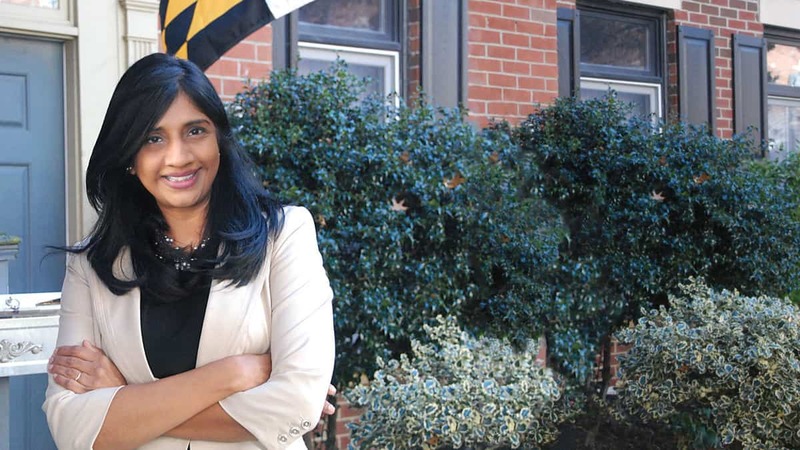 Aruna Miller’s most significant legislative accomplishments in the Maryland General Assembly, hoping to convince Democrats – and eventually some Republicans – in Maryland’s 6th Congressional District to send the veteran female legislator to Washington to succeed U.S. Rep. John Delaney (D-Md.) in a district that stretches from Deep Creek Lake to the edges of Potomac. Last week, Maryland Gov. Larry Hogan signed HB 281 into law, a bipartisan bill sponsored by Miller that expands access to computer science education in Maryland’s public schools. Miller’s Computer Science for Education for All bill requires Maryland’s public high schools to offer at least one topflight computer science course, and it requires the Maryland county school boards to add computer science to elementary and middle schools. 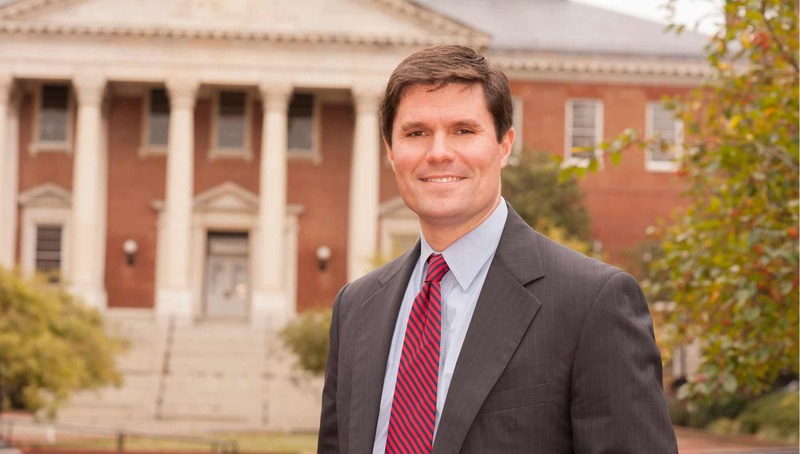 Additionally, Miller’s legislation increases the number of computer science teachers, and it establishes the Maryland Center for Computing Education. Miller’s bill also included $2 million to help schools fulfill this commitment, bringing the total amount to $7 million over three years. Miller was the last of her family to arrive in America in 1972, immigrating from India when she was seven-years-old. During college, Miller worked at the now-defunct Mexican fast-food chain Naugles. “I can still remember that snowy day, tucked away safely in my dad’s arms, as we stepped off the plane in New York City. I didn’t know it then, but America had just welcomed me home, and it was my turn to give up who I had been for what I was to become, an American,” writes Miller on her website. Miller has amassed endorsements from more than 20 state lawmakers and has been endorsed by Emily’s List and U.S. Sen. Kirsten Gillibrand (D-N.Y.). Her campaign has raised over $1 million and is expected to bring in more cash by the end of the cycle. 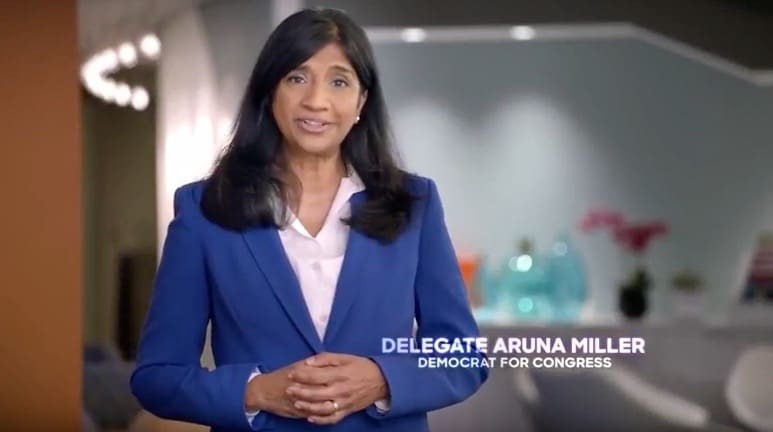 Miller’s chief rivals in the eight-person Democratic primary include millionaire businessman David Trone, state Sen. Roger Manno (D-Silver Spring) and Dr. Nadia Hashimi, a Potomac-based pediatrician and best-selling novelist. The eventual Democratic nominee will likely face off in November against Republican Amie Hoeber, a former Pentagon official and national security consultant who was defeated by Rep. John Delaney in the November 2016 general election. Maryland’s primary is set for June 26.